Over the past couple of weeks I’ve been having a new challenge with that cute little ‘ol puggle of mine. Yes, the one and only Walker Texas Ranger AKA Chuck Norris. An exam, blood test, prescription for phenobarbitol twice a day and about $200 later we were off to a brighter, seizure-free future. Giving Walker a pill twice a day is easy; stick it inside a Snausage and he gobbles it up. Much easier than giving a pill to the cats, who tend to be more wary. So, phenobarbitol – great. Only about $11 a month. No problemo. I can handle that. One of the side effects of the medication however is increased thirst and with that … increased urination. But my boy could go for 12 hours without having to be walked. He’d be fine. Or maybe not. Of all the spots he could pick in the entire house … he picked to pee up against the stove. The stove! Why the stove?!? And when I say he pees, I mean he PPPPPPPPPPPEEEEEEEEEEEEEEEEEESSSSSSSSSSSS! The worst part is that the pee travels and spreads onto the floor and soaks into the base of the kitchen cabinet beside the stove. This. Is. Not. Good. So, I began walking him four to five times a day. Like clockwork he wakes me up at 6:45 a.m. We walk. I shower, get ready for work. We walk. I come home from work, and we walk. We walk again around 8pm. We play. We walk again around 11:00 p.m., and then we sleep. Until the piddling puggle’s internal clock or in this case his bladder wakes him up and he cries to wake me up so we can walk and start over again. And never missed a post. The piddler of the age. And sniffed him up their nose. To piddle the stranger down. Or gave a piddle show. The ablest white or brown. With vigor and with vim. By piles and scraps and rust. were piddled to a standstill. And all those latest hits. Of course, being a hypochondriac and an overreacting fur people Mama, I am ignoring the last line referring to diabetes. That’s all I need! We’re off to the vet tomorrow for another $100+ visit to see what we can do to help the pup AND me! If that doesn’t work out maybe I can turn him into a champion piddler and teach him the “double dip” and “gimlet twist”. Then someday the adventures of my piddling puggle will become famous and end up paying for all of these challenging adventures. Hey, a girl can dream. Life is never dull with Walker Texas Ranger! 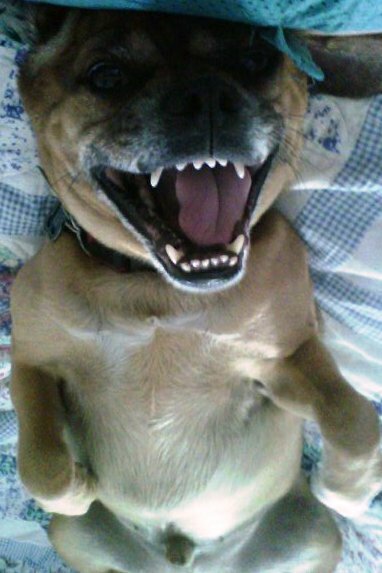 Tags: Breeds, Chuck Norris, Dog, facebook, Family, hypochondriac, Pet, phenobarbitol, piddle, poem, postaday2011, puggle, Recreation, rex, uncle, veterinarian, Walker Texas Ranger, wee wee pads. Bookmark the permalink.